You've heard it before, so much so in fact that it's almost become cliché: For modern organizations, cyberattacks are not a matter of if they will happen, but when. 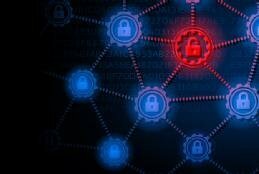 But despite this common refrain -- and seemingly endless reports of high-profile data breaches -- information security professionals' warnings about cybersecurity risks too often fell on deaf ears. That didn't stop them from trying, and the efforts might finally be paying off. Boards and company leaders are paying more attention to cybersecurity risks and how to stop them, probably because they are realizing the negative effects of not paying heed. Cybersecurity has simply become good business for digital organizations and has forced companies to re-examine IT processes to maximize data protection strategies. Innovation is playing a big role on both sides of the cybersecurity coin: For example, companies are investing in AI and automation technologies that quickly analyze potential vulnerabilities and report suspicious activities. But enterprise use of tech such as AI, cloud and IoT applications also expands potential attack surfaces. Rapidly evolving enterprise tech development has amplified calls for proactive cybersecurity risk management. Terms like security by design and information lifecycle management are becoming common as companies implement strategies to protect corporate data and customer information from the moment data is generated. We provide some guidance in this SearchCIO handbook, where we examine real-world strategies to improve modern cybersecurity processes. The advice will prove useful as companies continue to adjust to new risks created by the digitization of business processes. Adaptability and flexibility will be key because cybersecurity is never done, to quote another maxim of the security business. As long as company data remains a commodity, there will always be new cybersecurity risks to reckon with. Adopting new tech helps businesses thrive, but CIOs must be aware of accompanying risks. Experts sound off on how new tech continues to muddle the cybersecurity threat landscape. As companies outgrow dated data protection and compliance management systems, IT leaders are making an investment in cybersecurity to avoid risk and stare down regulatory mandates. For cybersecurity strategies to be successful, digitized companies must find the balance between the benefits and risks that come with rapidly advancing IT innovation.